Words are powerful, words can break bones,’ says a close friend who chose to remain anonymous. Yes, I believe my friend is right, words can indeed break bones, and likewise, words can heal. The right word at the right moment can stop wars. When world leaders exchange bitter words – millions can perish! However, when soothing words comes forth, peace can be attained. World leaders are in Northern Ireland discussing various issues, top on their agenda is Syria. I hope that they would be able to arrive at a peaceful resolution to end the carnage in the fragmented country. Just as spoken words are powerful, written words are also powerful! You can read some books and wonder (fiction or nonfiction) where the author got his or her inspiration. Their words can heal, challenge, and bring about a positive change in the lives of the readers. 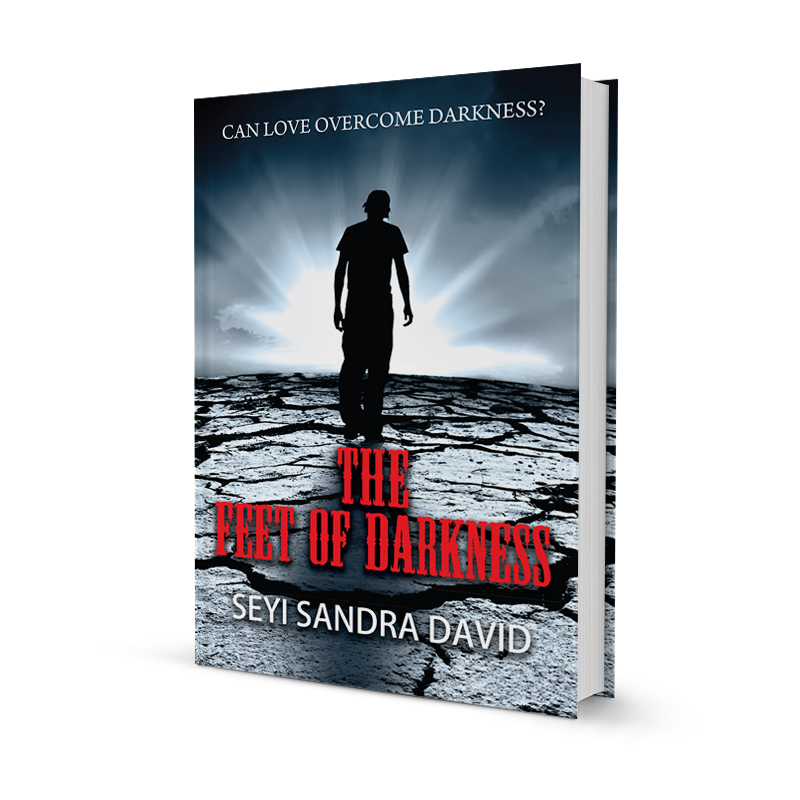 Seyi Sandra David writes with conviction and clarity of mind. She believes that love can change a twisted mind. In her book, ‘The Feet Of Darkness,’ a Supernatural Thriller, Seyi sought to destroy the veil of darkness that makes people believe they can avenge a death, or a wrong. She wanted the reader to believe in forgiveness but some of you might be thinking, are some sins too horrible to forgive? The Feet Of Darkness is set in London, Nigeria and Israel. The story began with the mysterious disappearance of a British scientist, Michael Crest, whose wife immediately smelt a rat. Events quickly spiraled into an intercontinental search but the elusive scientist remained lost. However, that was not where it ended. The reader was dexterously taken to Nigeria where Hammed Khalif emerged, full of hatred and anger. He threw himself into planning the complete obliteration of America and its allies a.k.a Great Britain and Israel. His ruthless terrorist cells unleashed terror on harmless civilians. He was determined to cause as much pain as possible. Premonitions, Imaginations, And The Written Word. Learning To Write Is Learning To Live!